Imagine, you get a call from your son's lecturer that he has not been to the college on a particular day and it's not the first time it happened. He spends most of the time on his new iPhone 6 due to which his score in semesters has gone low. You are a businessman with a busy schedule and so how can you parent your son and monitor him always? Well, if you relate this problem to your life, I am sure you know what I am referring to. Today's generation of teens spends more time on smartphones with their online friends. Hence, it is very important to monitor them using any useful resource like a parental control for iPhone. 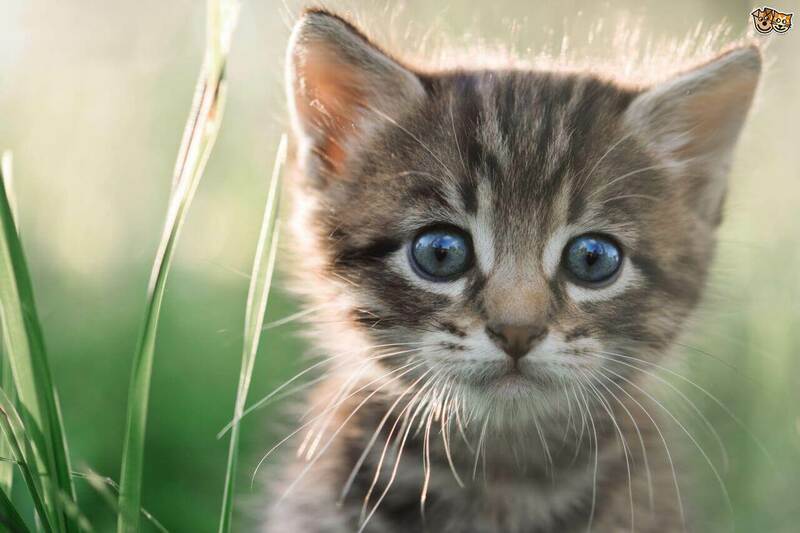 So, this article will give you solutions to the above-stated problem that every parent of today faces. Parenting is a relentless job that needs continuous care and observation. Moreover, if your child has an iPhone 6 in hand, then it is obvious to be more cautious as it comes with so many attractive features that might lure and make the child addicted. For such a wonderful iPhone device, you need a powerful iPhone 6 Parental Control app, which is called FamiSafe. It not only keeps an eye over the online movements of your child, for example, if your child is visiting illegal websites, trying to use restricted apps but it can also stop access to them with its time limit feature. Besides that, you can also track the location of your child and loved ones to ensure the safety of the family. In these days, kids use smartphones for hours without even realizing and hence are very easily diverted from their studies, affected by insomnia and other sleeping problems. 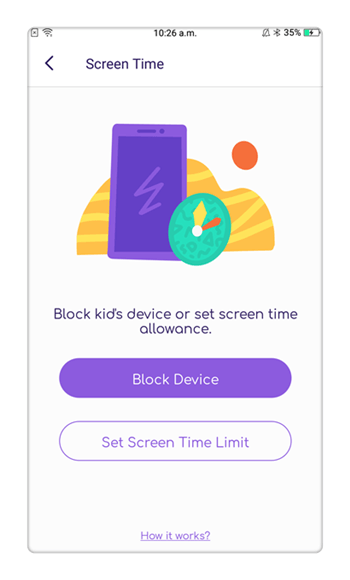 With the help of FamiSafe, you can set screen time limits and when the time exceeds, the application restricts the use of the phone for the fixed time duration set by you. You can now view the browsing history of websites that are viewed by your kids and its usage duration with exact time stamps. FamiSafe has a feature known as web filter where you can filter and block illegal or harmful websites for your kids. Instead, you can allow them access to useful websites related to career, education, family, and health. 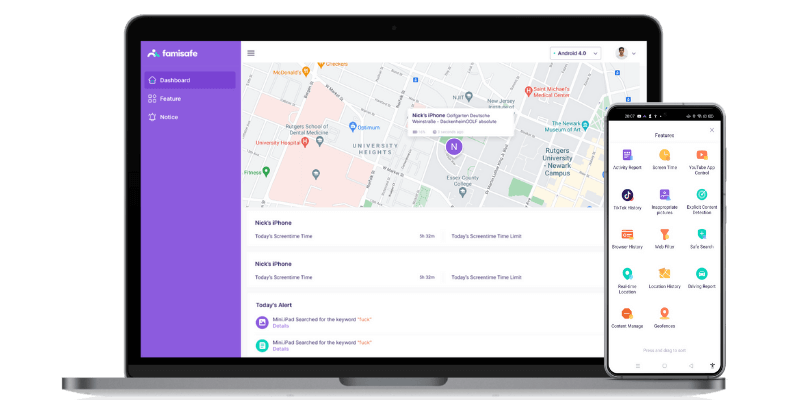 Location Monitoring feature enables you to find the exact location of your children at any point in time, you can see that on the map. App Blocking feature comes useful when you are worried about excessive usage of a particular app. With it, you can simply block the app to avoid access or give them limited access. 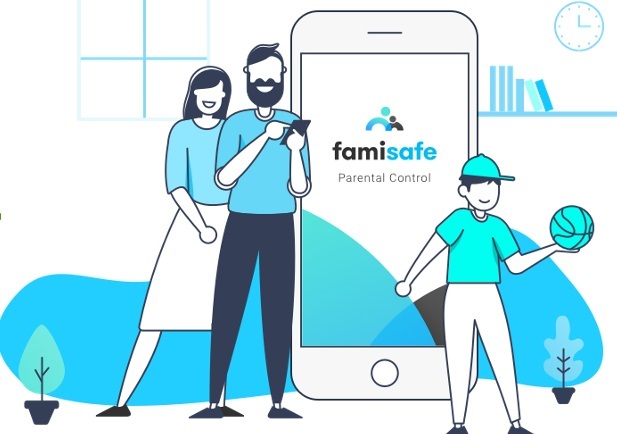 This way, FamiSafe acts as a perfect flexible remote parental control application for iPhone with personalized settings that allows you to monitor your kid easily. 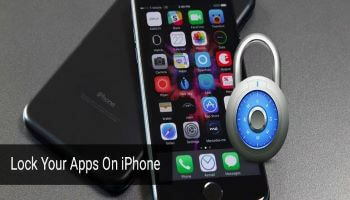 Note: FamiSafe supports all versions of iPhone starting from iPhone X/8/7/6 and hence it is recognized as the best parental control app for iPhone 6. 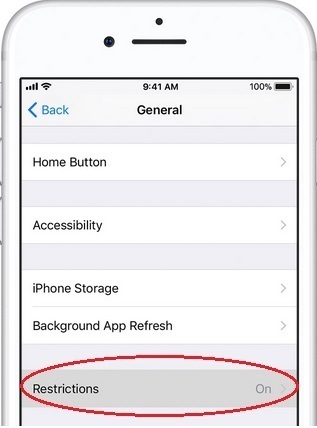 How to set parental controls on iPhone 6 using FamiSafe? If you want to know how to set the parental controls on iPhone 6 using FamiSafe, then you just need to follow the steps below. 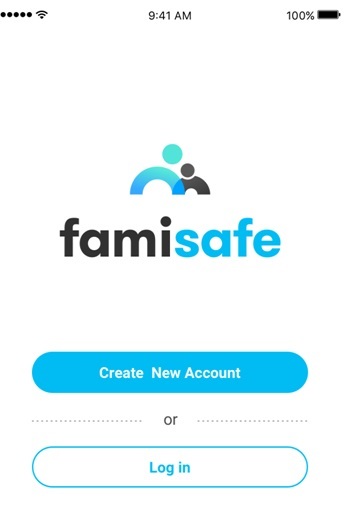 Step 1: To start with, download and install the FamiSafe application from the App Store. You must install it in both parent and kid's phone to continue. 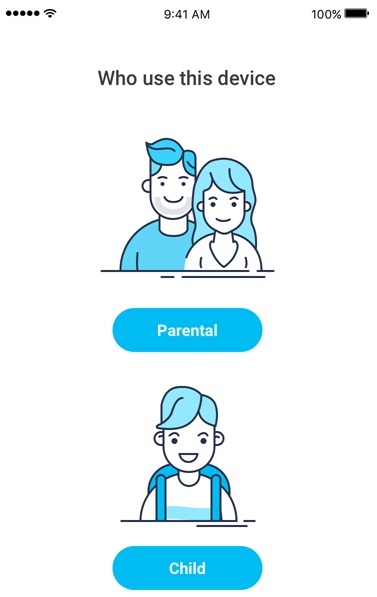 Step 2: Once the installation is done, choose the type of identity i.e., Parent or Child. It is because there are different portals for both the identities. Step 3: Now proceed with the registration process. You can perform the registration on either of the devices (as it is applicable to both). Step 4: After accepting the agreement process, on the kid's device fill out the details to complete the process such as age or name. Then it will ask for permission, simply grant it. Now, on parent's device, add your child's device by choosing iOS in this case. 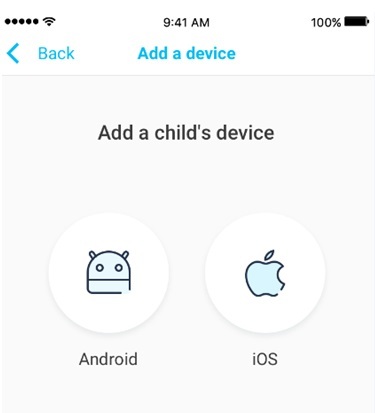 After that, connect your device to the child's device. 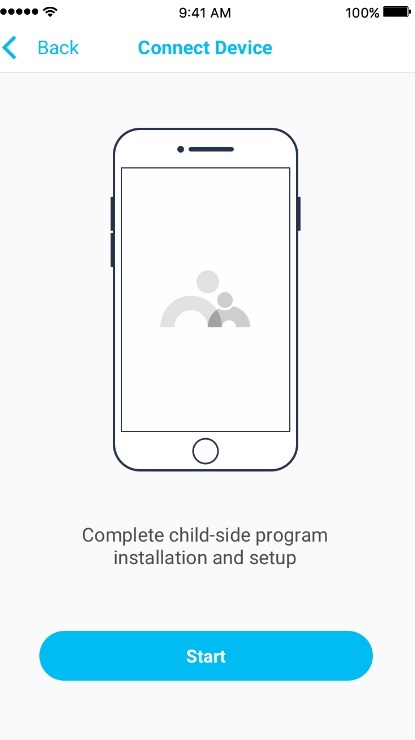 Step 5: Click on “Next” button and you will be directed to the portal from where you can start monitoring your kid by clicking the options one-by-one. 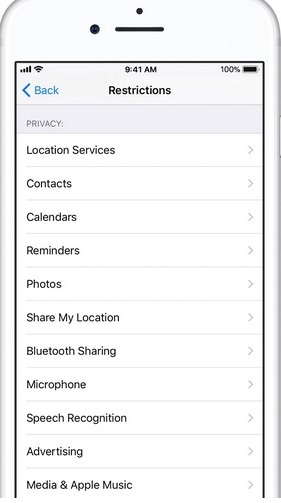 You can monitor the child's location, kid's iPhone usage, restrict your child's access to inappropriate websites and apps, lock games, and other apps during breaks and study time. Being an iOS user, I am sure you must be aware that iPhone also comes with its own inbuilt parental controls feature called “Restrictions”. Thus, you can also take the help of iPhone's own parental control feature to restrict your kids from malware and other dangerous activities. 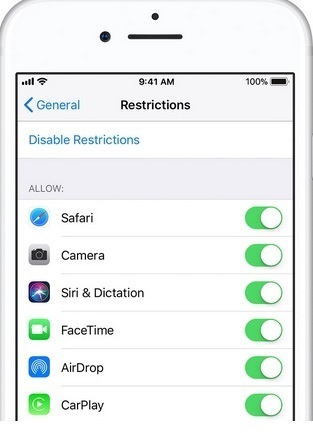 Step 1: For implementing parental control in iPhone 6, you should go to Settings, then visit the General Settings and click on “Enable Restrictions” button from available options. Step 2: You will be asked for a password for security purpose to review details and to change the Settings and Restriction options later. Step 3: Additionally, in iPhone 6, you can restrict your kids from using built-in applications (such as FaceTime, Safari etc.) from the phone by enabling some of the applications from the restrictions section. Step 4: If your kids are excessively addicted towards games and other applications like TV shows, you can also add them to your restriction section by clicking on “Settings> General> Restrictions”. Step 5: To safeguard your other applications like Contacts, Photos, Video and Media Files from strangers and others, you can execute, Settings> Restriction> Privacy option. 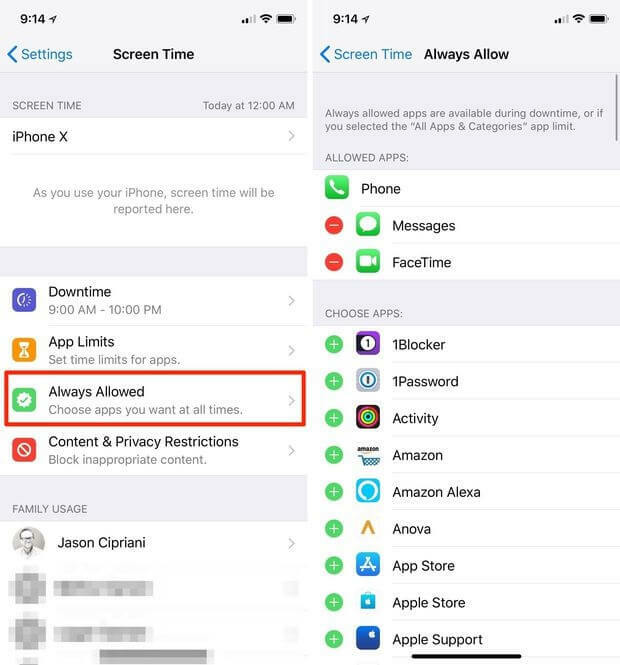 With its new version of iOS 12, Apple has come up with stronger parental control features such as Screen Time, App Limits and Downtime. 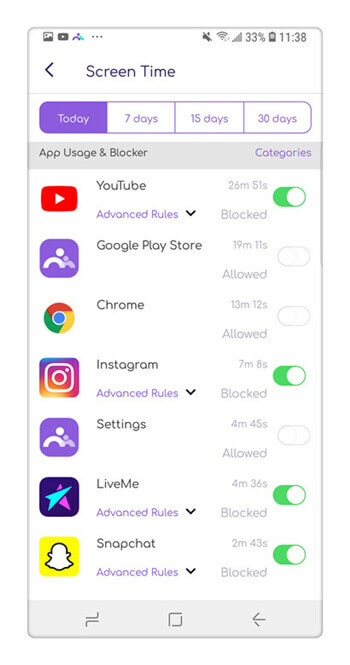 All these new parental control features have been introduced with a view to keeping a better control over the usage of your device. 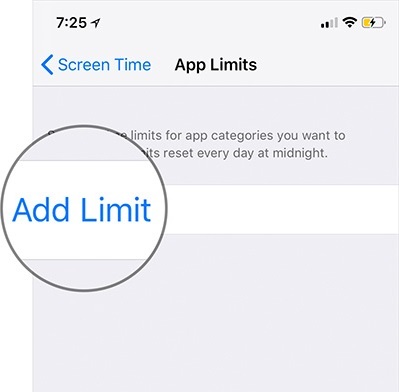 One of the amazing iOS 12 parental control is the App limit that restricts the usage of specified applications from Facebook, WhatsApp, and Instagram after a particular time limit. With the new Downtime feature, parents can restrict the access on the device leaving the important ones such as phone, messages. 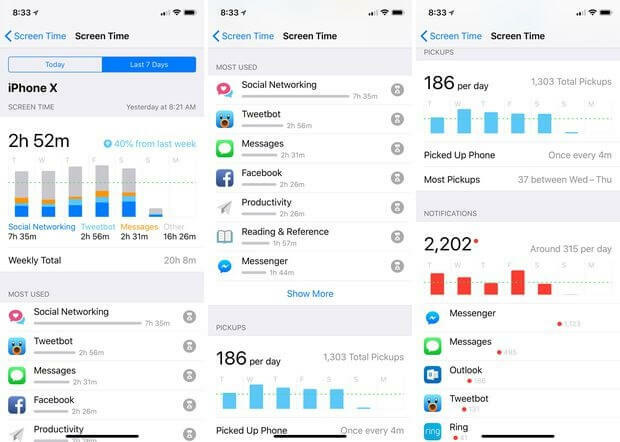 Screen time is one of the most wonderful iPhone parental control applications available in iOS 12 where you can review the apps that are used by your kids and also the duration up to which they were used. 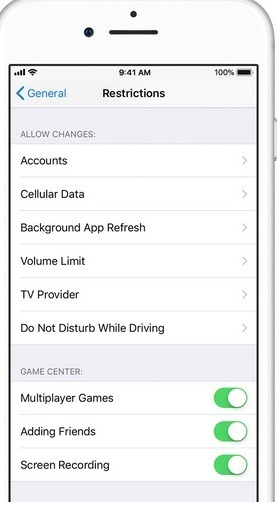 Note: In order to activate the parental control in your iPhone using iOS 12, go to the “Settings” option. On the left panel, you will have various options like Downtime and App limits. Execute the following option to execute the App Limits. 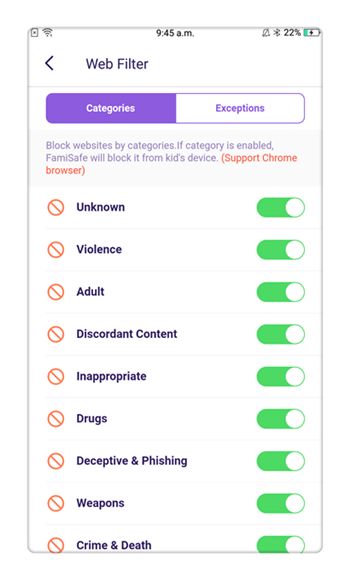 On the right panel, you can choose the Applications that can be allowed and that has to be blocked. 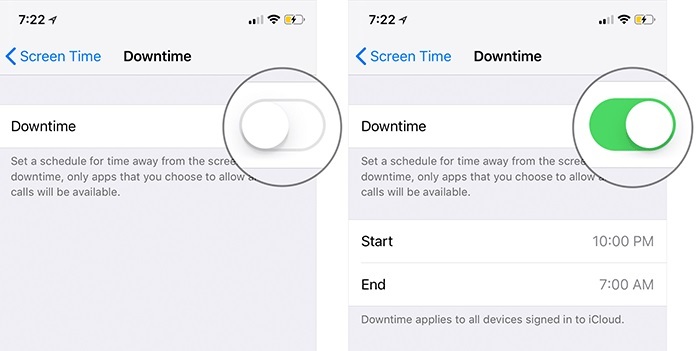 On the other hand, to restrict the usage of apps to a pre-defined time, you can use downtime control by executing, “Settings> Screen time> Downtime” option. Well, to conclude, I hope you will find this article helpful as far as your parenting job goes and you would as per our suggestion use FamiSafe which is the best iPhone 6 parent control application. You, as a parent, can now relax as you will be able to restrict your kids from entering into harmful Internet zones with the help of the parenting tools available with FamiSafe. 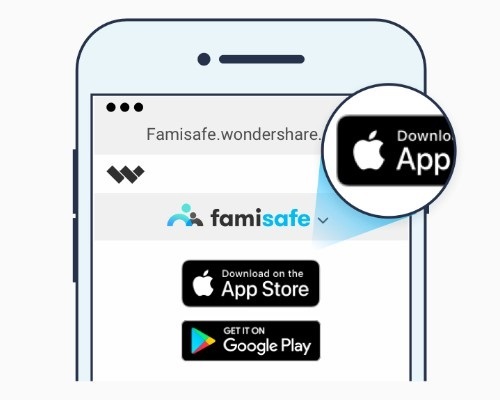 FamiSafe is available for both Android and iOS devices and you are free to download its trial version for a quick check. So, for what are you waiting for, download it today for the better future for your child tomorrow.